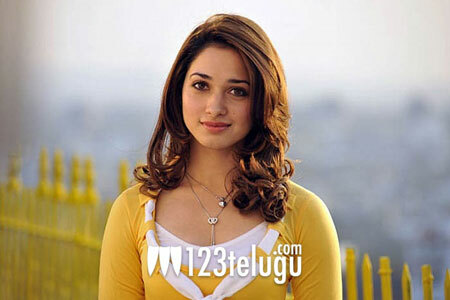 Gorgeous beauty Tamanna has scored a good hit with Naga Chaitanya in the film ‘100 % Love’. Now the latest buzz being heard is that Tamanna has been brought back to revive that hit combo in the upcoming ‘Vettai’ remake. Hansika was originally the actress of choice for the role opposite Chaitanya, but Tamanna has now been roped in for the same. Sources say that the ‘100% Love’ success sentiment is one of the factors for this replacement. Comedy star Sunil is the other hero in the film and he will be seen with Andrea Jeremiah. Kishore Kumar is the director of this movie and Bellamkonda Suresh is producing the film. This movie is the official remake of the hit Tamil film ‘Vettai’. Sunil and Naga Chaitanya will be seen as brothers in this drama.